When it comes to selling your home; curb appeal goes very far. But, how do you find that “curb appeal” that everyone is talking about getting? 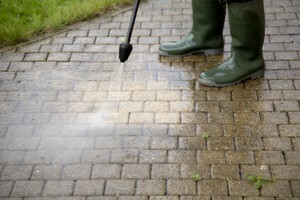 You can find curb appeal by having the home treated with a power washing. This is a steady stream of water that penetrates through all of the dirt and buildup on the home. Over time, the buildup of many things will start to develop on your siding, brick or stucco. In order to have this type of exterior washing done on the home; it’s safe to say that you should call in a professional washing contractor. Using a safe cleaning solution will not only protect your home from damages but also your children and pets. Children and pets like to wander around outdoors getting into things which they shouldn’t be in. You won’t need to worry is the come cross grass or plants that have been affected by a solution. The benefits of having an exterior cleaning done are plentiful. You will enjoy and appreciate the look of your home after it has been washed. Also, you’ll be able to sell it faster providing you have hired the right cleaning outfit. There are so many other reasons, than reselling the home, as to why there is the need for pressure washing. You’ll want the service done just because it can help to make a huge difference. Cleaning, restoration and maintenance for an exterior are all pretty affordable services. You may want it done just to avoid injuries. Many homeowners take the DIY route when making the attempt to clean their exteriors. They often end up getting badly hurt because trying to climb a ladder and use that mechanism is a major balancing act. 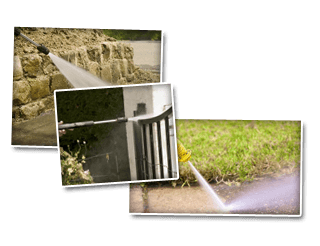 You can take advantage of the power washing services from Cavalier Window Cleaning & Power Washing. They are professional, licensed and insured for your safety. The outside of your home will be a lot cleaner and more valuable to potential buyers.